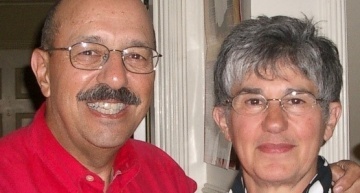 Combine international travel, service with a Greek flair and 50 years of marriage and you have an excellent example of a couple who have made important contributions to the Greek experience in Washington State. This is how Peter (Panayiotes) Ales (changed from Alevizakes by court order in 1948) and Katina Melonas Ales have made their life together. 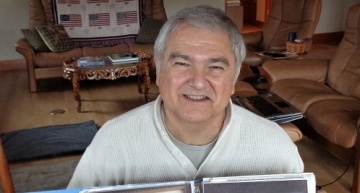 Peter’s grandfather, also Peter, came to the United States from Hagi near Kalamata in the Peloponnese area of Greece to work on the railroad near Chicago, Illinois. When the work became very heavy and the weather very cold he returned to Greece. He told his 17-year-old son John it was his turn to go to America to help pay the family bills and provide prikes (dowries) for John’s sisters. In Billings, Montana, John left railroad work and worked as a helper in a restaurant kitchen. He learned to shine shoes and block hats and operated a shoe shine parlor. In 1916 he enlisted in the Army and served at Camp Lewis (now Joint Base Lewis McChord) in Washington. After his discharge he attained citizenship and worked again in restaurants. He wanted to work in the oil fields and studied geological formations toward that end but was not successful. 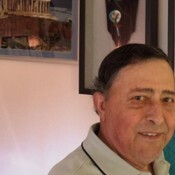 In Billings John knew the Gountanis family including Zoye, his maternal grandmother’s sister from the town of Koropi, 18 miles south of Athens. Zoye made the proxenia (arranged marriage) and asked for Theodora Giatayanas to come to the United States and marry a good Greek boy. Theodora was detained for 18 days at Ellis Island waiting for John to get her papers in order. 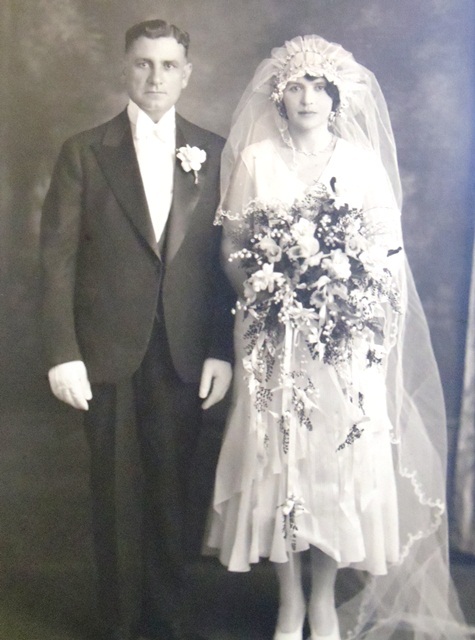 He took her to the Bahamas for a civil wedding in 1925 and then to Minneapolis, Minnesota, where they were properly wed in the Greek Orthodox Church. From there John and Theodora made their way to Billings. 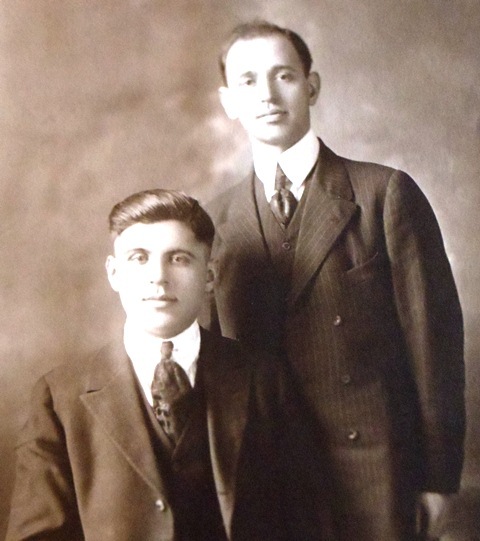 Their son Peter was born there on April 17, 1926, and Ernie (Anastasios) followed on December 11, 1930. 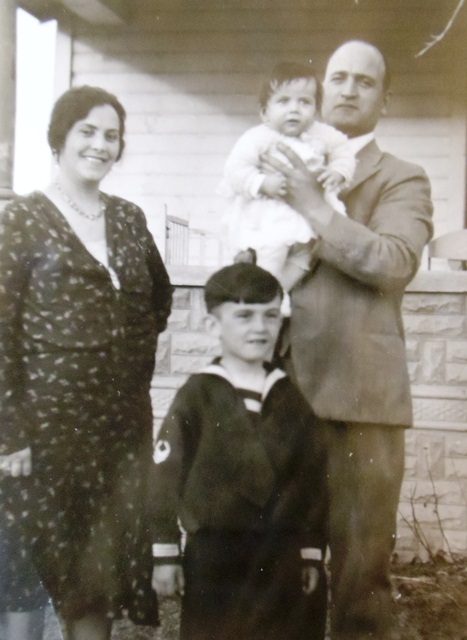 Peter recalls being called derogatory ethnic names during his early years in school but most of his time in Billings was pleasant with a number of Greek families also living there. In 1935 he went to Greece with his mother and brother where they remained until 1945. Although he enjoyed the experience of knowing his grandparents, times were very difficult there with the impact of World War II. Death from starvation was not uncommon. At age 17 he had a brief experience with the guerilla forces in the mountains of northern Greece fighting the Germans. 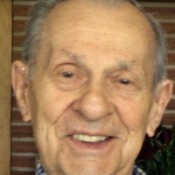 In 1945 he enlisted in the United States Army via the military attaché office in Athens, Greece. He completed training in California and was part of an occupation force in Okinawa, Japan, where he attained the rank of sergeant. 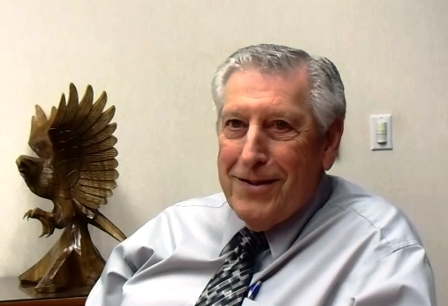 Peter returned to Billings after being discharged in 1947 and graduated in business administration from the University of Montana in Missoula. He accepted a job as a civilian employee doing contract work in Greenland for seven months helping to design living quarters deep in the ice pack. He saved enough money from this employment to attend graduate school in Washington, D.C., where he obtained his master’s degree in economics from George Washington University. 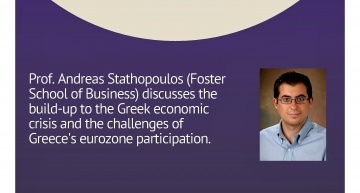 A presentation of his class thesis on natural resources in the Balkans helped him qualify for a job in the former Yugoslavia. When he interviewed for the position, he found himself in the Central Intelligence Agency (CIA) building. After two months he obtained his security clearance and went to Yugoslavia with a dual mission, records management and to locate Greek communists who had connections behind the Iron Curtain. Peter’s work in the Foreign Service has taken him to Greece, Iran, Jamaica, India, Brazil and Yugoslavia. 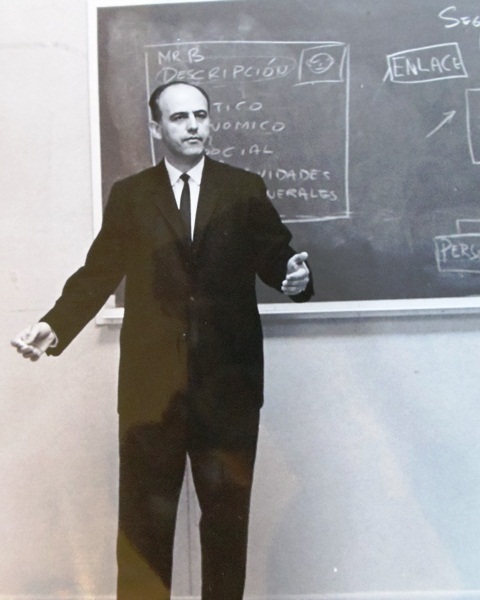 He also taught at the International Police Academy in 1960. Steve (Stathi) Melonas was the oldest of 10 children born in Pavliani in the mountains near Lamia in central Greece. His brother Gus was in Stevenson, Washington, working on the railroad. When the family learned Gus was going to marry an Americanitha (a non-Greek) Steve was sent to “save” his brother and bring him back to Greece. Even though the two brothers never returned to Greece, Steve fulfilled his parents’ request when Gus married a Greek woman from Boston. 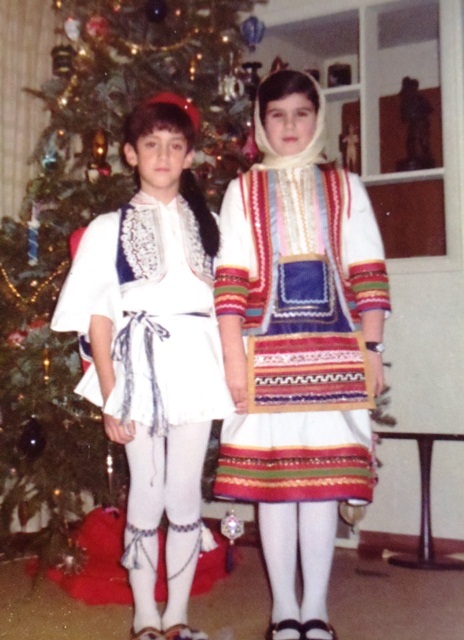 Meanwhile, in Seattle, George Carras (Katsaniotis) had a younger sister in his village of Koukouvista, also near Lamia. She, Maria, wanted to come to America. George went to Greece and married Eugenia Rovakis. Back in America he complied with Maria’s wish and selected a husband for her. Once in Seattle Maria found herself in a proxenio (arranged marriage) she didn’t like or approve. The proxenio was dissolved. The brothers “paid him off” and Maria had to go to Canada until a proper suitor was found. Among them was Steve Melonas who succeeded (where others had failed) and they were married in 1929. Back in Stevenson with his bride, Steve left the railroad and had a dairy farm with 40-50 cows delivering milk and cream in Stevenson, Bonneville, Carson and Cascade Locks, Oregon. 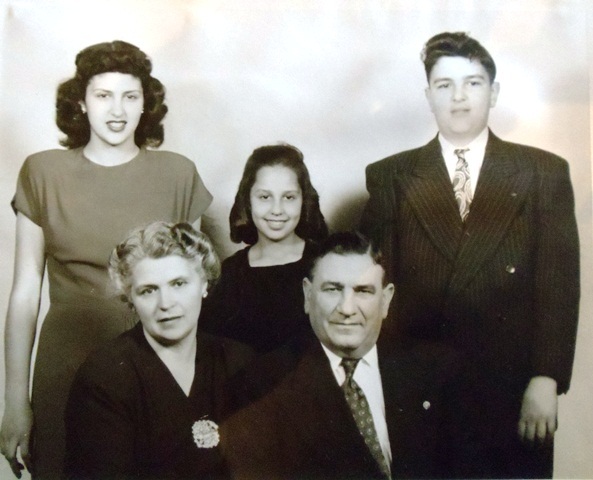 Their daughter, Katina (Ekaterini) was born on July 10, 1932, in Portland, Oregon, and was followed by brother John in 1933 and sister Vicki (Vasiliki) in 1937. Kindergarten was optional at the time and since Katina could not speak English, she was sent home and had to wait a year before returning to school. It was a different story with her first grade teacher, who became a friend of the family, even coming to the house to help Maria get her citizenship papers. When World War II came along, the dairy delivery boys were lost to military service and Katina and John got up early to do the milk run before school. When milk machines came into use, Steve chose not to continue the business and sold the dairy to his brother Gus and nephew John. Steve and Maria wanted to move to Seattle where there were relatives and a better environment for the children. 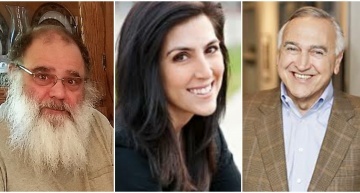 When Katina was 13 years old, the family moved to their home in Seattle’s Greenwood neighborhood near Maria’s brothers George and Nick Carras. 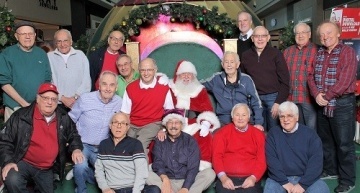 Having retired, Steve occasionally helped his brothers-in-law at their grocery stores. 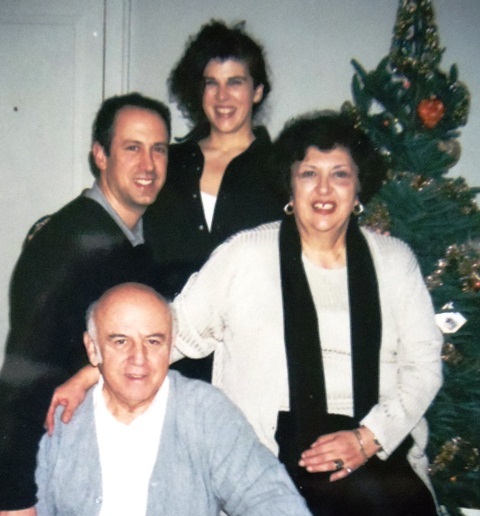 Maria was a homemaker for years, active in her St. Demetrios Greek Orthodox Church and the Greek community. 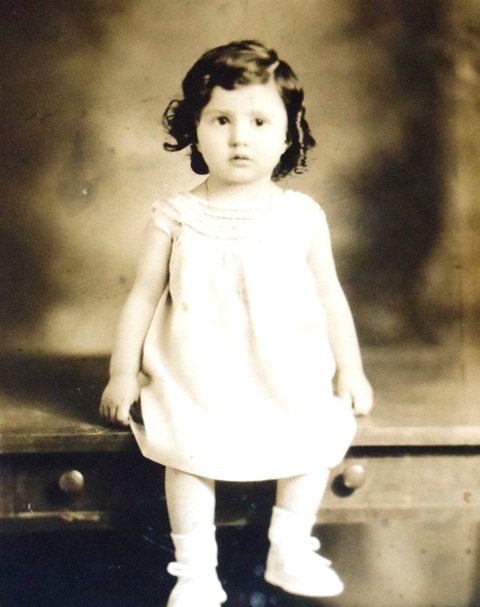 As a senior citizen with an empty house Maria took up a sewing job as did many Greek women at that time. Katina was the youngest of 10 cousins who lived nearby and they took her everywhere because she was the tallest and appeared older than the others. She graduated from Lincoln High School in 1950 as vice president of the student body. She attended Metropolitan Business College in Seattle to become a secretary. For two years she worked at Nordstrom in the credit office then for Western Airlines at the Seattle-Tacoma airport. This was an exciting time early in the advent of jet air travel. In 1958 she transferred to the downtown sales office where she stayed until her marriage to Peter. 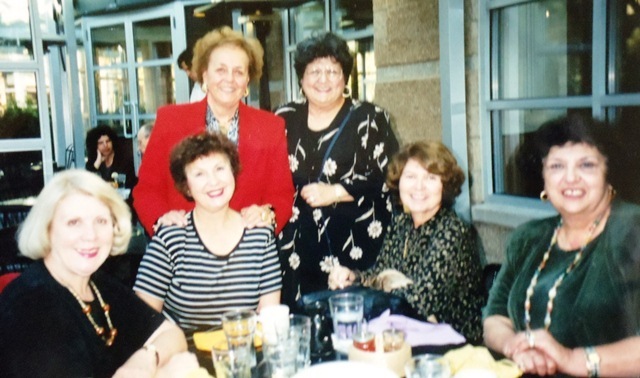 Katina was very active at St. Demetrios and was president of the Maids of Athena, the junior women’s group of AHEPA (American Hellenic Educational Progressive Association). She helped the Maids sponsor kafenia (coffee houses reminiscent of the old country) primarily for bachelors. When AHEPA decided not to have its usual Greek picnic, Katina and the Maids stepped in to hold the event. In the early 1950s she was instrumental in having the Maids represented in Seattle’s summer Seafair celebration. 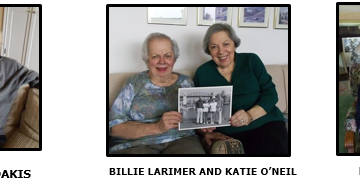 In 1958 Katina took her first trip to Greece with her mother and sister Vicki. Her friend, Diana Bacas (nee Delemetros) who was living in Athens at the time, introduced her to a handsome young man, Peter Ales, who was living and working there. Katina had some items to ship back to Seattle and Peter offered to do that for her. 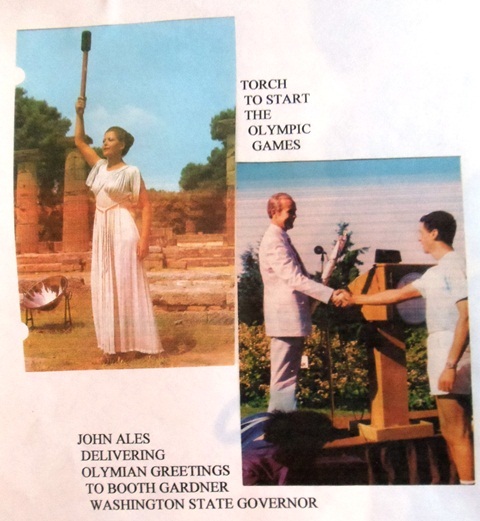 This meeting was followed by correspondence and subsequent trans-Atlantic trips, Peter to Seattle in 1959 and Katina to Greece in 1960 and 1961. Peter returned to Seattle in the summer of 1962. On Friday, September 21, they were married in a civil ceremony with a church wedding scheduled for the following February. Three days later, Peter left for his new assignment in Brasilia, Brazil, and Katina’s papers for security clearance were forwarded for processing. Peter called in November and said “Change the wedding date. 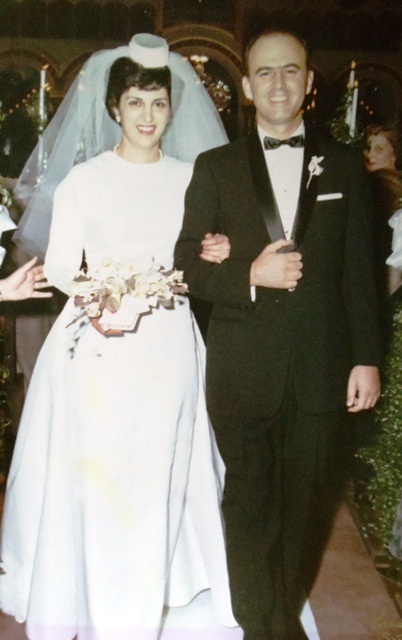 I’m coming home for Christmas.” They were married on December 29 with Basil and Helen Gregores as koumbari (sponsors). Peter and Katina left for Brazil a week later for what was 10 wonderful months in Brasilia and Rio de Janeiro. Katina and Peter moved to Washington, D.C., in late 1963 just before President John Kennedy was assassinated. 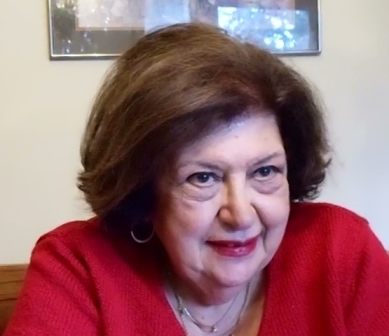 Katina recalls seeing the funeral procession with Jackie, Robert and Ted Kennedy and Charles de Gaulle of France standing out above the rest of the mourners. During their four years in D.C. their children Maria and John were born. In 1967 Peter retired from the foreign service just two weeks before he was to be shipped to Thailand. Back in Seattle, Peter began work for the General Services Administration with responsibility for management interviews, then for Washington State in Olympia in the Office of Financial Management. 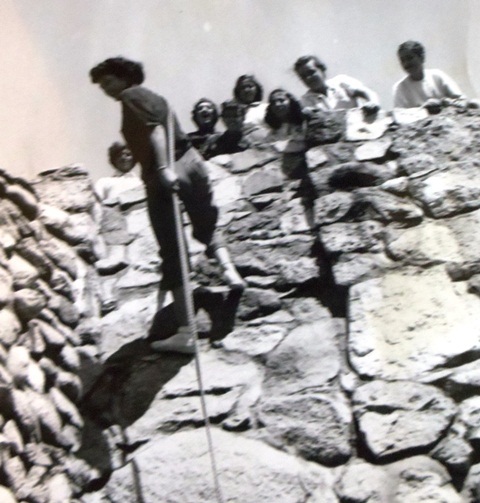 While in Olympia Peter negotiated arrangements to establish a sister city relationship with Olympia, Greece. In 1980 he ran for State Repres entative. 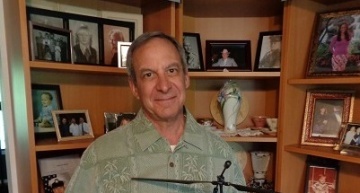 As head of the Federal Retirees Association in Seattle, Peter’s passion for public service found him working to re-establish civics courses in public schools as mandated by state law. 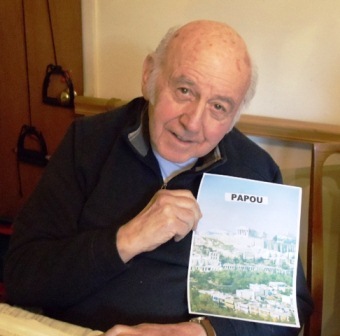 He believes the educational component of AHEPA strengthened his passion for this endeavor. 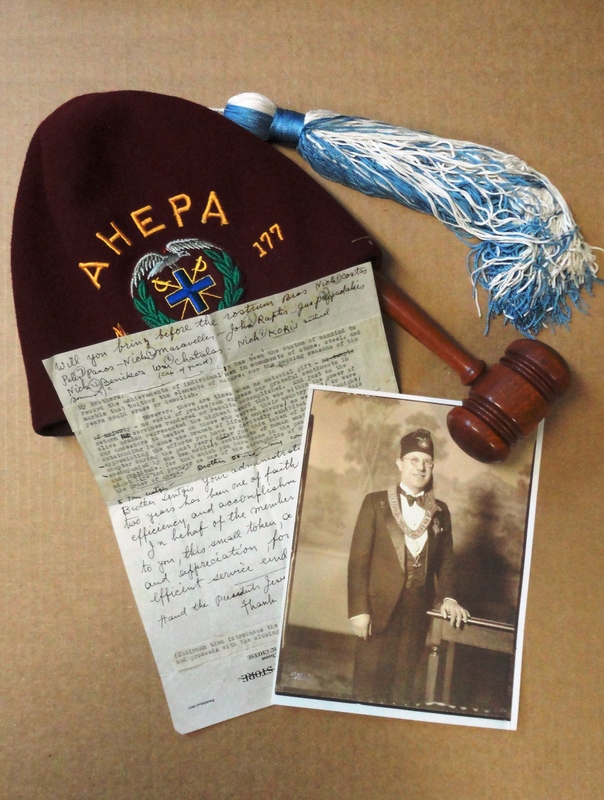 He was active in AHEPA (for over 50 years) and served as District Governor. 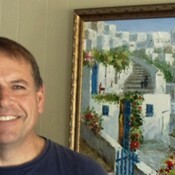 Peter also worked toward establishing a Greek retirement home in Washington. For Peter the best thing about being Greek is coming to appreciate citizenship. He developed this during his schooling in Greece just as Greeks from 2000 years ago developed an appreciation for liberty. He believes there is still a high regard for his “clan” in America even though he knows that Greeks have philodoxi (a tendency to be ambitious and independent) which often makes it difficult to obtain a consensus for activities. For Katina, any discrimination she felt as a child in Stevenson, Washington, has been overcome by the pride she has found in her heritage. The Bellingham BeatSpiro “Spedo” Southas spent a lot of time as a cop in Bellingham, Washington, but he probably spent as much time visiting fellow Greeks throughout the state.